Where there is muck there is money or so the saying goes. Many would say not a truer word spoken! 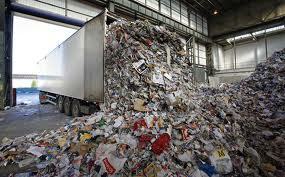 Recycling is now more popular than ever, with commodity prices rising and a more aware public about the importance of recycling, nothing that can be recycled is now thrown away. However this can bring problems to recycling centres, copper is much sought after and often the yards used for recycling are open and difficult to protect. Many an operator has seen damage to his fleet and plant from thieves and vandals who seem to have no respect for the fact that the goods, once deposited on the site, belong to the owner. Its not a help yourself centre for anything you find!!! Its no surprise then that CCTV is being deployed in more and more recycling centres to increase security and keep an eye on the whole operation. 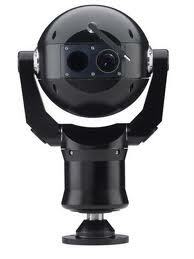 Robust camera solutions such as the 360 predator camera are ideal for such a scenario. It does not stop there however. CCTV can be used now to prevent fire as well as theft. A recent blaze at a recycling centre in Hertfordshire highlighted how rotting waste can heat up to high temperature deep inside the pile of rubbish. When conditions a right this waste can self combust causing untold damage to plant and machinery sometimes totalling hundreds of thousands of pounds. So how can CCTV help here? Well with the new Thermal cameras out there hotspots can be seen and dealt with long before they become dangerous, although the camera can be expensive, prevention can save the operator vast amounts of money , even their business. So CCTV and recycling centres seem very nicely matched, where there is muck there is money but where there are CCTV cameras there are definitely some big savings to be made. 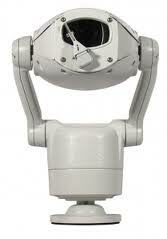 Infiniti Integrated PTZ camera.Dedicated Micros Thermal CCTV solution. This entry was posted on Wednesday, March 30th, 2011 at 06:33	and is filed under CCTV. You can follow any responses to this entry through the RSS 2.0 feed. Both comments and pings are currently closed.